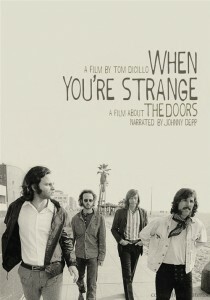 Documentary When You’re Strange: A Film About The Doors really isn’t all that peculiar. 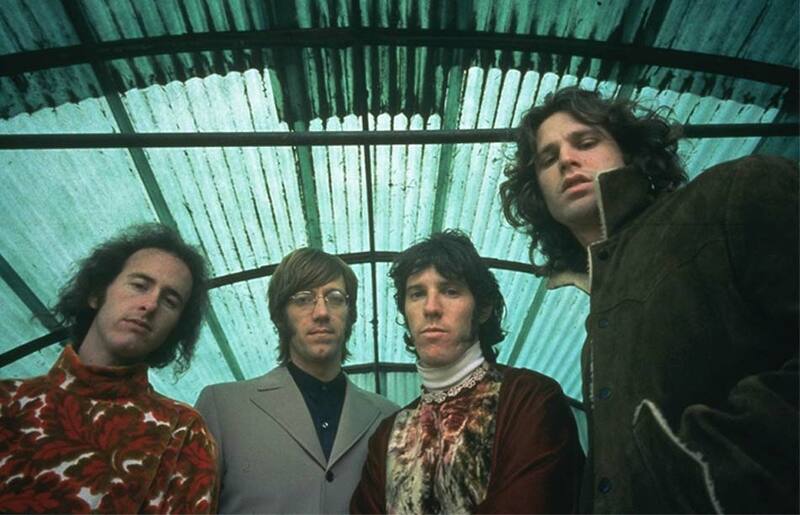 It’s essentially a straight-ahead, relatively lore-less look at the seminal Los Angeles band’s meteoric rise to fame in early 1967 and equally mercurial flame-out just four years later following the death of lead singer Jim Morrison. 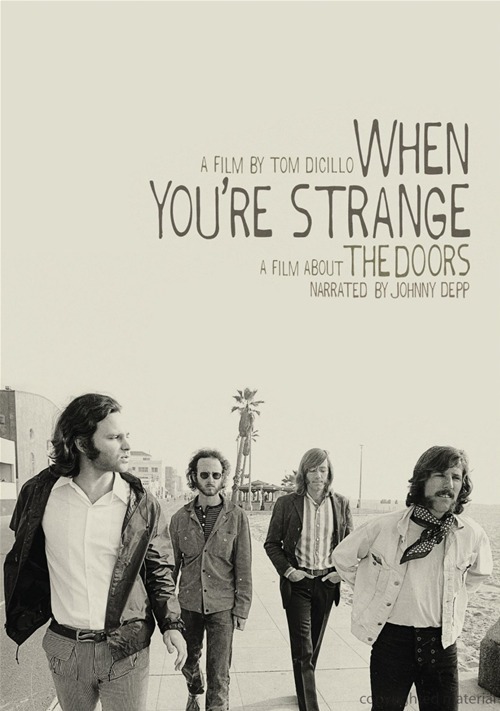 Narrated by Johnny Depp (Alice in Wonderland), the film tracks through also the biographical basics: the meeting of UCLA film school students Jim Morrison and Ray Manzarek on Venice Beach and Manzarek’s suggestion to form a band, the recruiting of guitarist Robbie Krieger and drummer John Densmore, their house band gig at the Whiskey A Go Go and subsequent firing because of Morrison’s scandalously lewd performance of “The End,” their signing to Elektra Records, and so on…..
It’s all there and presented quite clearly in the film, but it’s a fairly well-known history at this point and doesn’t offer any new insight the band, even if it’s served up with new interviews and previously unreleased video footage (some of it quite fine!). Though the surviving members of The Doors continue to slam Oliver Stone’s 1991 bio-pic, this movie really does cover the same material, though not with the same mythological fire and brimstone. 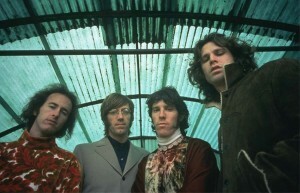 That said, writer/director Tom DiCillo (Living in Oblivion) most admirably points out the musicality of the four-man ensemble, particularly that of keyboardist Manzarek, who frequently played the bass parts for the bass player-less band on a Fender Rhodes piano bass while at the same time unleashing his signature psychedelic sound on a Vox Continental organ. The DVD comes without any special features.